You probably hear the term “inflation” often. You may know that the price of goods and services increase as a result of it, but do you know why it happens and what makes prices increase so significantly? If not, don’t worry, because you’re not alone. Ask anyone what inflation means and they’ll likely tell you it’s about a rise in the cost of everything we buy, from the food we eat to the homes we live in. Over half a century ago, the prices of both those things were dramatically cheaper. In the 1940’s a cup of coffee was only 15 cents, a hot dog was just a quarter, and you could buy a home for less than $10,000. Compare those costs to now and you can see how things have really changed. The reason for all of that has a lot to do with inflation. It’s obvious that prices are going to increase as the years go by due to a number of variables, all of which are part of inflation. So, in order to better understand this vital component that helps to drive our economy, we’ve put together this handy guide to help you better understand the basics. Here you’ll learn how to define inflation, how it works, and what it means for your family and your wallet. Inflation can put a squeeze on the economy and that is never good news for businesses or consumers. However, inflation also plays a role in establishing the cost of living which can then affect how much you get paid by your employer. Confused yet? Then keep reading, we’re going to break it all down for you. The best way to describe inflation is the percentage of increase in the prices of goods and services over a specific length of time. In most cases, it’s measured on an annual basis. While it’s typically assessed as an increase in the prices of everything overall, we can still make determinations on the rates of increase on particular items, whether it’s food, school tuition, the price of oil, and so on. Regardless of what’s being analyzed, measuring inflation targets the rise in prices between the current year and the previous one. When prices go up, that represents a rise in inflation. This means your dollar doesn’t stretch as far as it once did. The value of a dollar decreases when inflation rates go up and that spells bad luck for your bottom line. The price of a dozen eggs was $2.99 last year, but with rising inflation rates, that carton now costs $3.10. Simply put, your three dollars can no longer buy you a dozen eggs. That’s the real meaning of inflation – your dollar doesn’t go as far as it once did which results in the need to spend more to get the items you need and want. The question doesn’t really have a hard and fast answer for a couple of reasons. 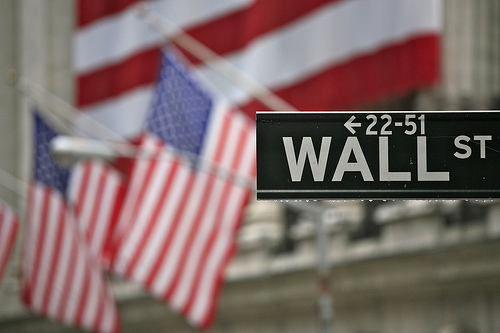 There are a number of price indexes that policymakers monitor. These indexes trace the price increases in a multitude of products and services. Contributing to the difficulty is the fact that each index is calculated differently from one another, which can result in a range of results on the increase of inflation. That, of course, does more to confuse instead of clarify the issue. Despite this mixed bag of characteristics, there are a couple of prevailing attitudes toward the sources of inflation. Neither one is the last word on the matter but they each provide some insight into the causes that trigger a price increase. The first relates to simple supply and demand, where inflation is the result of an increase in prices due to a demand that is outpacing supply. When there’s a greater demand for something, the price of it will increase, particularly if that item is hard to come by. Therefore, the supply cannot meet the demand and thus the item becomes more popular and desirable. Any disruptions to either the supply or demand side of the equation can drive inflation. A supply shock can have a detrimental effect in any situation where the supply chain is interrupted or slowed in any capacity. This includes anything from natural disasters to spikes in the cost of manufacturing or supplies needed to create a product. Anything that stagnates the supply side can bring about some modicum of inflation. Demand shocks can also be impactful where the demand for a product grows at such a rate that it outpaces supply. The second theory behind the source of inflation is attributed to a rise in the costs to offer a product or a service to the market. When costs increase for companies to produce and manufacture their wares, those costs are then passed on to us, the consumers, and the price for these things goes up. Those rising costs can be anything from wages paid to employees, updating and replacing necessary equipment, taxes, a rise in the cost of supplies needed to manufacture a product, and the list goes on. 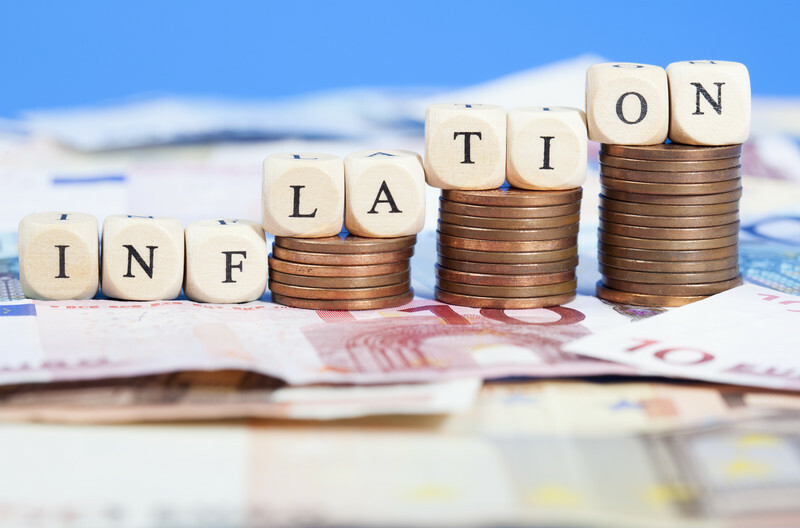 Both of these causes are the most popular theories as to why inflation rates fluctuate the way they do, along with the inaccuracies that lie in the indexes that are in place to track the prices we pay for the things we purchase each and every day. Inflation that starts to increase at an accelerated rate threatens to destabilize an economy. This has happened in the past, with the most famous example being Germany in the 1920’s. However, at normal rates, inflation may actually be considered a good thing as it’s an indicator of a thriving economy. When prices go up, that means the economy is flourishing and, theoretically, your financial situation is on the upswing. When people can pay more for goods and services that means they have money to spend, which then affects the health of our economy, both globally and here at home. 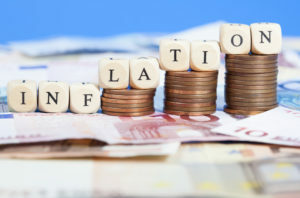 A strong rate of inflation may be viewed by some as a bad thing, but it’s only when the rate is very minor or the country is going through a period of deflation (which is defined by a decrease in prices) that the condition of the economy is really in trouble. These could prove as dangerous as the effects of a highly accelerated rate of inflation on the economy, a phenomenon better known as hyperinflation. As prices increase, we start to become concerned that our dollar has grown weaker in its buying power. We are, however, able to compensate for inflation if we can see the rise coming and anticipate just how much of an increase we will see in any given time period. If the inflation is adequately anticipated, we can take steps to accommodate this change. That can include banks resetting interest rates accordingly and employees working with their bosses to increase wages over time. That last adjustment is important because inflation itself isn’t the culprit when you find yourself struggling with rising prices. Those increases are a natural progression as part of a growing economy. The bigger problem that comes into play is when your wages don’t keep pace with those higher prices. That’s where one’s thoughts on inflation can vary greatly from another. Your financial situation is often a barometer of whether or not you find inflation to be a good thing or a bad thing, just as the inflation rate itself can be a good thing or a bad thing to the economy at large. It’s all about pacing, and if your wages are increasing along with the rate of inflation or the rate of inflation itself is moving too quickly or too slowly, these can all have an effect on how inflation rates impact your life. But just as anticipating the rate of inflation can be beneficial to consumers, a lack of anticipation can have damaging effects in a number of ways. Some of these can work in your favor, others may prove detrimental to your financial outlook. The biggest obstacle is the instability that typically arises when unanticipated inflation begins to take hold and everyone grabs tightly to their purse strings. That not only includes consumers, but corporations as well. Businesses may ramp down production of goods and spend less to manufacture and distribute them because there are less people willing to buy their products. An unanticipated period of rapid inflation can also drive up the prices on products that we export overseas. This can result in other countries buying less of those items and domestic goods becoming less competitive in the global marketplace. That can also put an undue strain on our economy leading to a downturn in growth and consumer confidence. On the other hand, inflation that goes unanticipated can be a boon for people who have borrowed money from financial lenders. When inflation rises at unexpected rates, lenders don’t adjust their interest rates accordingly and debtors can feel the benefits of it in the form of receiving an interest-free loan. When that occurs, the price of borrowing money goes way down to the point of almost getting to use that money for free, or almost free. The effects of inflation are wide-ranging and, as you can see, the ultimate impact on each of us may be quite unique to everyone’s personal situation. It’s all a matter of perspective and individual circumstance at the time rates start to increase and the strength of the economy overall. No, we’re not talking about a new supermarket chain, but the market basket does have a lot to do with what you buy at the grocery store along with other goods. These expenditures cumulatively represent the health of the economy and reflect the costs that are factored into a typical household budget. This is referred to as the “market basket” and it is used to measure a country’s rate of inflation. All of the items within the market basket combine to set an overall cost of that basket. 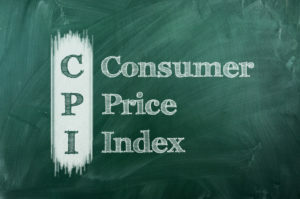 This cost is then compared periodically in order to set what is referred to a consumer price index (CPI). That price index reflects the cost of the basket today versus the cost of that basket in the previous year. The difference in the two prices gives us a percentage, better known as consumer price inflation (CPI). The elements within the basket are common household necessities along with other expenses like gasoline, clothing, even your rent or your mortgage payments on a home. Basically, any important expenditure, particularly if that expense recurs on a monthly basis. When government agencies monitor these prices they are simply taking a survey of spending trends and tracking how much the market basket costs each household. This is how a cost of living is determined. 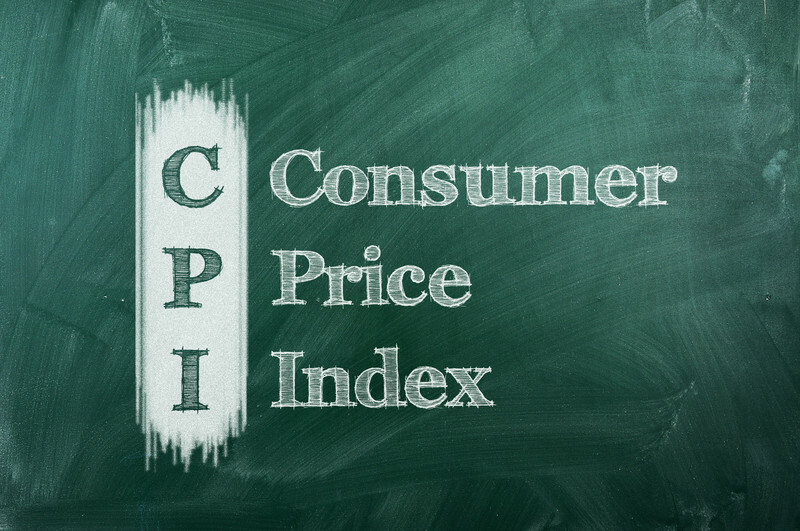 But while the consumer price index measures the change in prices of goods and services from the point of view of the consumer, there is another commonly used price index that the U.S. refers to when measuring inflation. This is called the producer price index (PPI). There are many different types of PPI, each one measuring the average difference in the selling prices of domestic goods and services. As you may have guessed, these indexes are analyzed from the perspective of the seller. The indexes can get complicated as the U.S. Bureau of Labor Statistics surveys thousands of sources, from retailers to rental property owners to doctors’ offices to hotels, on a monthly basis to get an accurate accounting of prices associated with these sources to track changes in CPI. The Bureau of Labor Statistics survey includes over 80,000 items from month to month to get the proper sample size for the current prices of goods and services across the spectrum of the market basket. Although it may sound like a broad accounting of items, those 80,000 focus points have been scientifically chosen in order to get the most accurate assessment of CPI. The items that comprise the market basket don’t change in order to create a pattern of consistency. However, buying trends do shift over time and certain goods or services become more prevalent in the consumption patterns of the public. Conversely, there comes a time when certain items begin to get phased out as they become obsolete and are replaced by updated versions. Some things just simply are not purchased on the same routine basis. In order to maintain the most up to date accounting of consumption patterns, minor changes will be made to the market basket. As we’ve discussed, changes in the inflation rate can affect your spending power, whether it’s anticipated or not. That rate also has a direct correlation to interest rates rising or falling as the decision to raise or lower interest rates is predicated upon the consumer and producer price indexes. These determinations are made by the Federal Reserve (referred to as the Fed) the central banking system of the United States. The Fed holds eight meetings annually during which they set targets for interest rates to reach. The Fed does not set the rates itself, but instead decides on a number that it would like to see interest rates match as per the lending institutions throughout the country. In that regard, the fiscal policy the Fed creates has a profound effect on the nation’s economy, inflation rates, and the employment rate. That policy is implemented in part by setting targets for interest rates. When the Fed establishes a target number, it conducts a variety of functions to influence the financial institutions and lending entities within their network as they negotiate amongst one another on the rates for borrowing money. When these financial entities establish their rates, the average of all of those rates becomes the national interest rate. If the Fed has done its job properly, that rate should reflect the target position that they declared. In declaring that target position, the Fed takes into account a litany of factors, and the CPI and PPI are just part of the picture. When they decide on a target number they’re always doing so in service of raising employment rates as high as they can go while also stabilizing prices and stimulating economic growth. It’s a careful balancing act to be sure, but dropping the interest rate is generally a good way to get the economy growing again. That balancing act requires the Fed to track the trends in the direction of the economy and it will set a target position for rates by utilizing the numbers from the CPI and PPI which help to determine the health of the nation’s economy. When things aren’t going so well, the Fed will drop the target number so that rates are lower and the economy can start to recover. If the economy is thriving, the Fed will then raise the target number, making it more expensive for banks to borrow money and, in turn, result in higher costs for borrowers who are looking for loans. Inflation plays a key role here as well as your investment portfolio can also feel the pinch as rates increase. The type of stocks you have can become affected by the rise in rates, but more importantly, they are subject to the ways in which a company interprets its returns each quarter. The financial statements of a company are subject to some level of insecurity due to the methods that are being used by the company to value its own inventory. The combination of stocks and inflation rates can sometimes result in an inaccurate picture of the company’s true fortunes. When a company is doing especially well, inflation may play a part. When that’s the case, the returns of that corporation may be misrepresented. However, inflation isn’t always bad for the stock market. In fact, it’s expected that a company’s revenue and earnings should keep pace with an increase in inflation. It’s much the same as your personal financial situation in the face of rising inflation rates. You would keep pace with it by bringing in higher wages, so it is with a company and their profits. The investors who are hurt the most during inflation are those individuals who are living on a fixed income. For these individuals, their investments don’t necessarily reflect reality when they’re taking their rate of return into account. The money they invested over the course of a year can be affected by inflation rates which end up cutting into the amount of their return after that year. For example, if your investment has a 10% rate of return, you may expect to see 10% of your investment in full. But as inflation rates rise, they can diminish that return considerably. If there was 3% rate of inflation over the course of that same year, then you would actually be seeing a true return of 7% on that initial investment. There are two different rates at work here, the nominal and the real. The first one is the interest rate at which your money grows, the second is the real rate at which your purchasing power rises or falls. In this example, your purchasing power has weakened to the tune of 3% of your return, giving you a real rate of return of 7%. When you’re living on a fixed income, that difference in numbers can be a big one. We hope this helps you understand inflation and how it works. There are a lot of moving parts to determine the current rate of inflation. Even a minor shift in that number can have a lot of wide-ranging impacts on how you spend your money and how much you have to spend to get the items you need every month. However, if you have the tools to navigate these rates with an eye towards anticipating the next increase, you’ll be better prepared to continue providing for yourself and your family in any type of financial climate. Remember, inflation can be a good thing for our economy. It’s all in how you keep pace with the growing trends in prices that can make the difference in your own financial outlook.